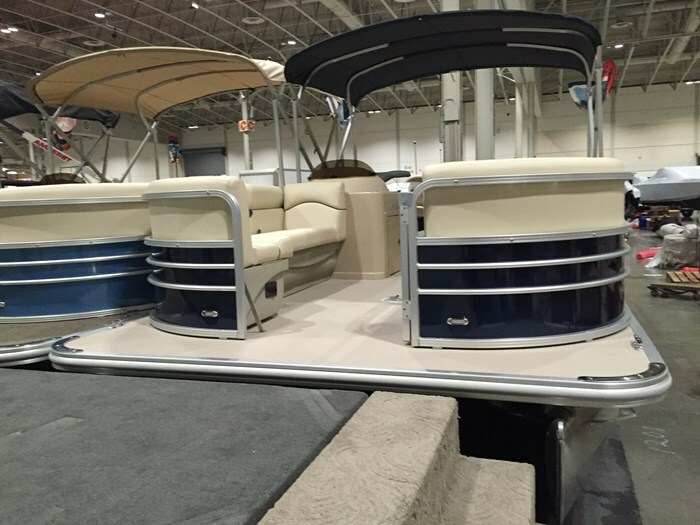 On this unique model we have an extended fishing station in the back. 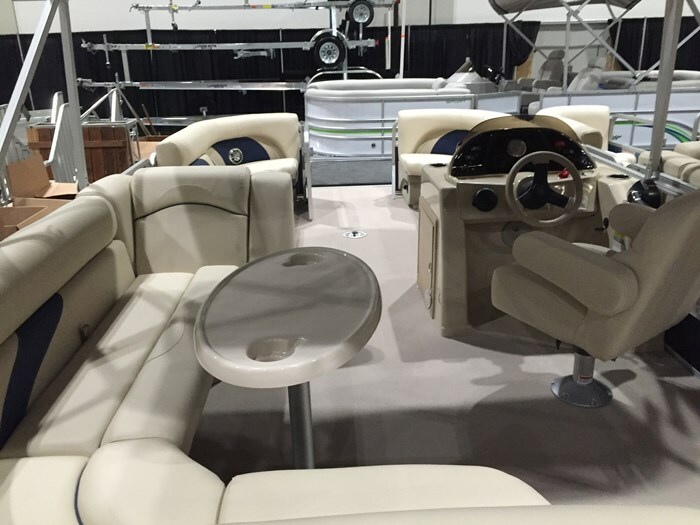 With a 30 gallon livewell, two fishing chairs, four rod holders, and built in cup holders, it's a fisherman's favourite spot. 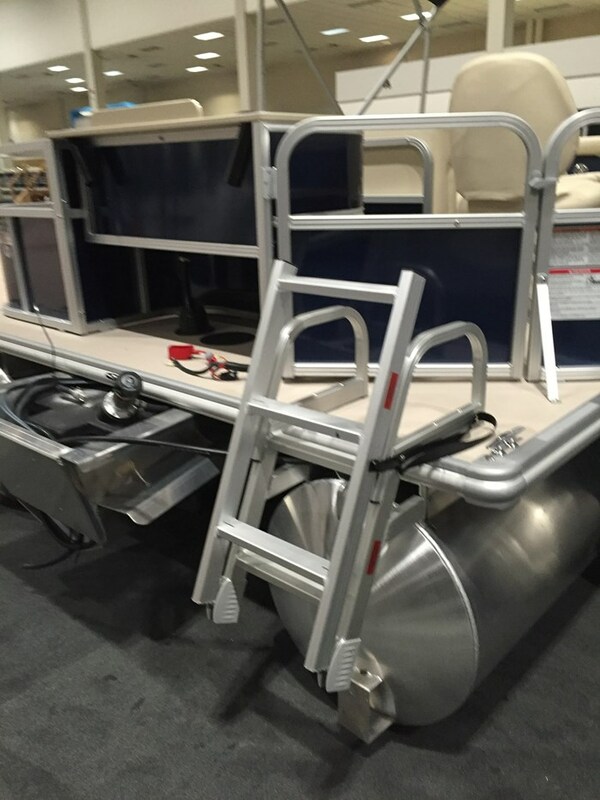 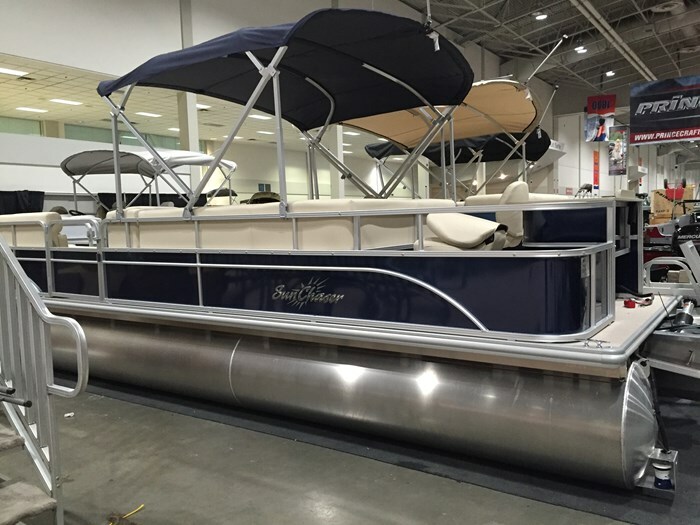 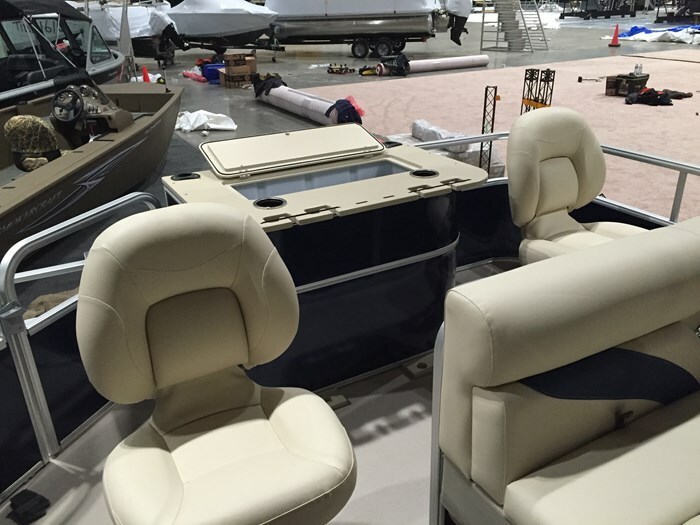 Features and options include, Full Vinyl Floor, Plastic Console Door, 30 gallon gas tank built into the transom, Colour matching Bimini Top, Playpen cover, PRV 19 radio with 2 extra speakers, pre wired for a trolling motor up front with plug,and a 5 step rear entry aluminium ladder. 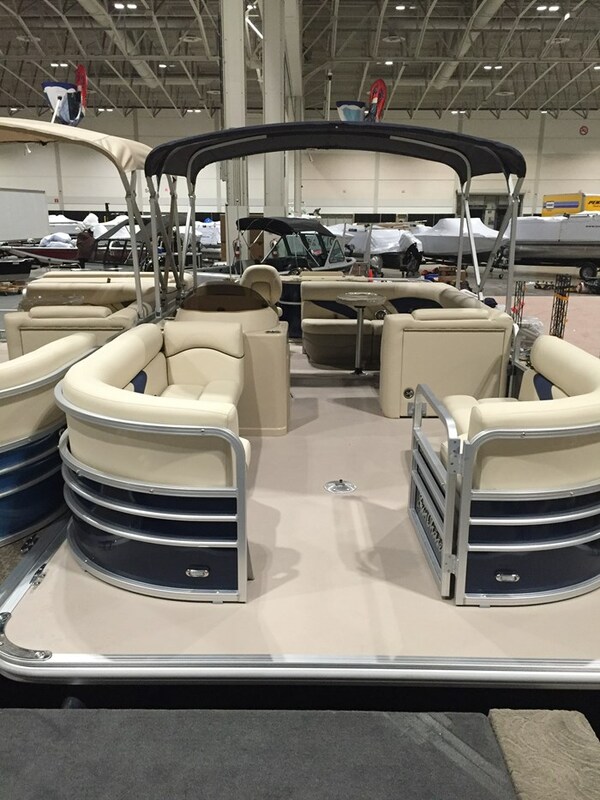 With seating for 12 you can take the whole group for a cruise with a quiet fuel efficient 4 stroke 70 hp Yamaha.